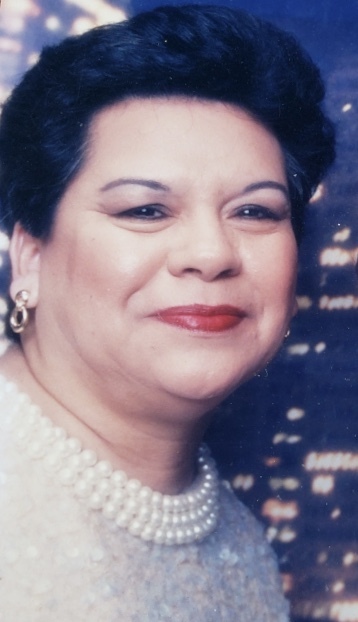 Elva Gonzales, 68 of Garland, passed away surrounded by her loving family, Monday, November 12, 2018. She was born January 15, 1950 in Melvin, Texas. She enjoyed being at home, working in her yard or fixing things around the house. She really enjoyed going shopping, spending time with her family, grandchildren and friends. She really liked the Dallas Cowboys but the Redskins were her favorite team. She enjoyed caring for and helping people. She is survived by her husband, Alfredo Gonzales; her children, Melody Sarabia and Daniel Gonzales; her siblings, Liz Turley, Rudy Zarate, Sr., Joe Zarate, Jr., Belia Zarate, Sylvia Cortez, Minnie Lopez; her grandchildren, Daniel Aaron Palomo, Lorelei Gonzales, Iliana Sarabia, Keegan Gonzales, Issac “Mister” Sarabia, Jr., and Ellie Gonzales. She was preceded in death by her parents, Joe Zarate and Susie Zarate, her sister, Linda Ybarra; her brothers, Elio Zarate, Edward Zarate. Services to celebrate her life are scheduled for 10:00 a.m. Friday, November 16, 2018 in the Pat Boze Memorial Chapel of Wayne Boze Funeral Home with Pastor Robert Ramos officiating. Interment will follow at the Red Oak Cemetery. Visitation for family and friends will be held from 6-8 p.m. Thursday, November 15, 2018 at Wayne Boze Funeral Home.